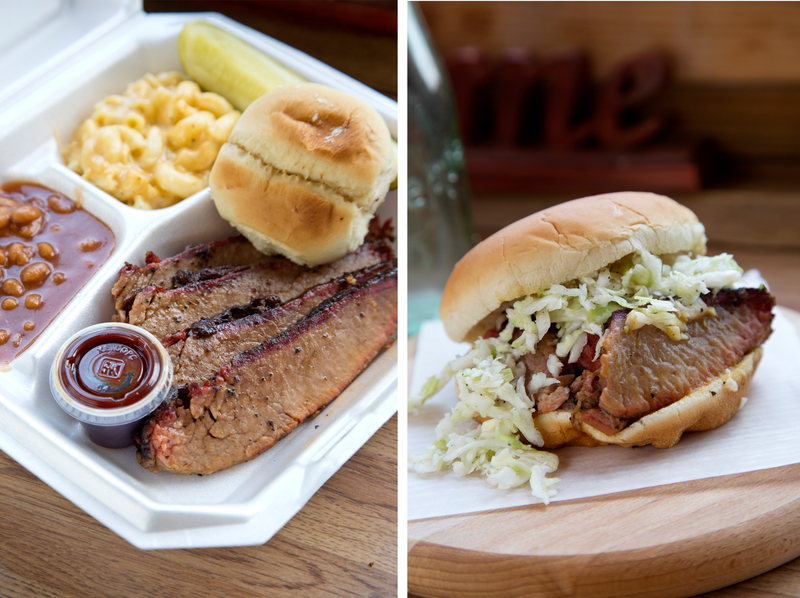 At the last leg of our food journey, we found ourselves at New Market BBQ. The restaurant is a red-roofed wooden building, surrounded by barrels of brightly colored flowers. It is the kind of place you see and you know immediately that you will be served excellent Barbecue, and I am glad to report the restaurant exceeded my high expectations. 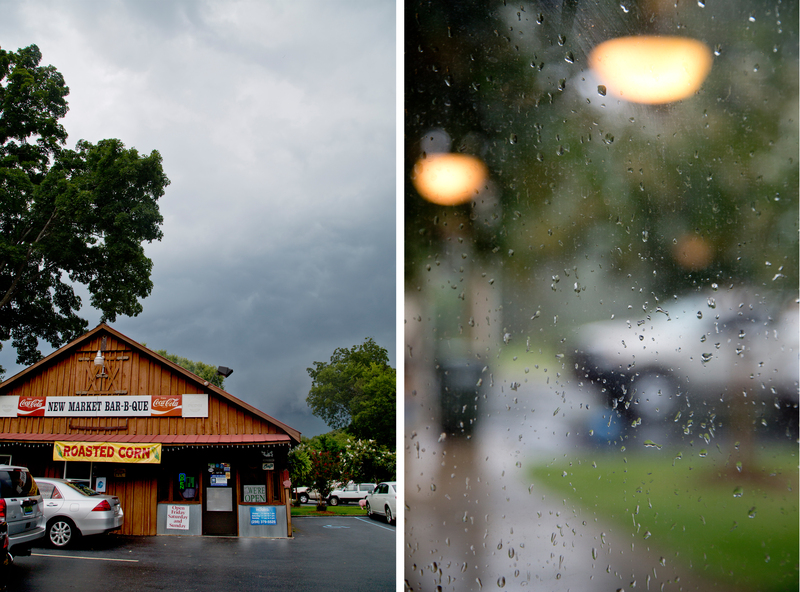 When we arrived at the restaurant, the sky was quite ominous looking and storms were eminent, but this in no way unswayed the bbq lovers from coming out to New Market BBQ. The parking lot and restaurant was full of people who were more than willing to brave the rain and wind to get their pulled pork and brisket dinners. 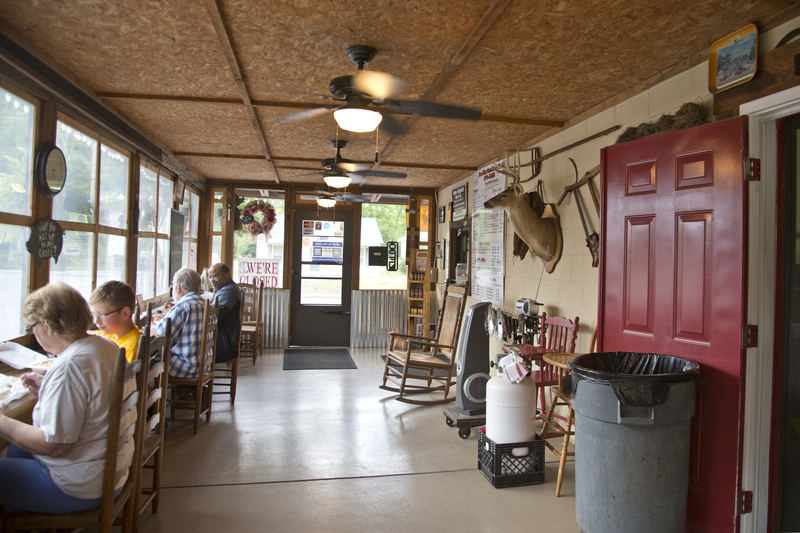 The restaurant inside is rustic and fun, with lots to look at. Especially fun is owner Libby’s extensive pig collection. 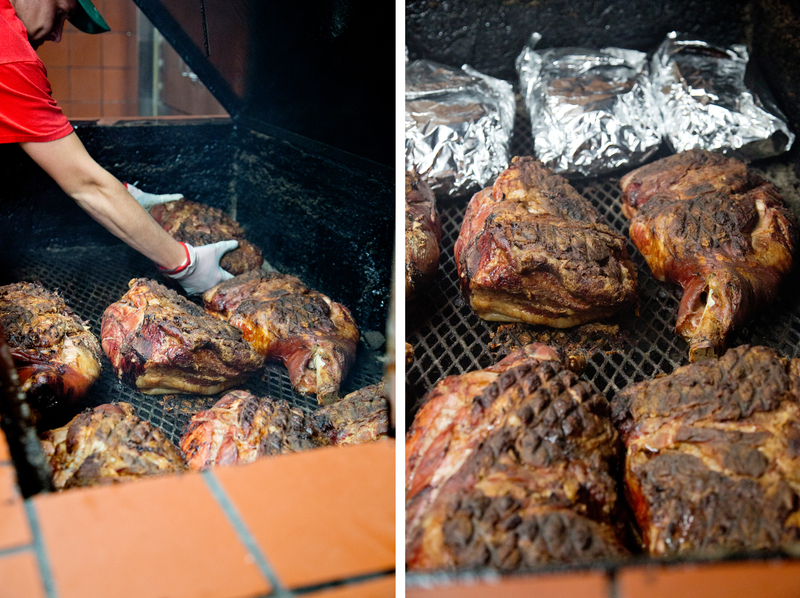 I have been to New Market BBQ on three previous occasions, and every time I go there I notice a new pig that I hadn’t seen before. Here are a FEW of the pigs. I am sure there are countless others I missed or just didn’t get a photo of. There aren’t tables, rather a bar that goes across the front of the restaurant. It creates an intimate environment allowing you to easily become friends with your neighbors. If you want a more secluded dinning experience, there is a pavilion with picnic tables adjacent to the restaurant. 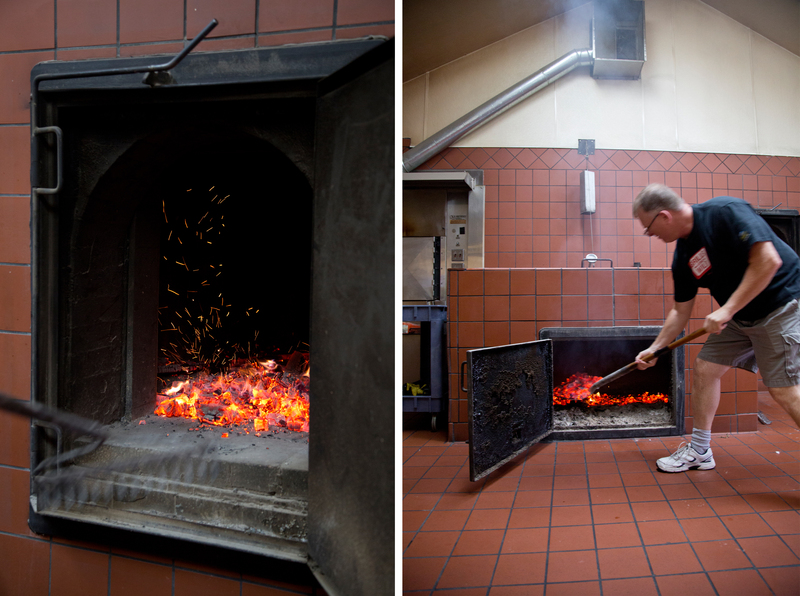 At the heart of the restaurant is the smoker where all the magic happens. Kelly and Libby pride themselves in cooking all their meats the old-fashioned way, and this is what makes customers keep on coming back. The restaurant is open only 3 days a week and is full the entire three days. 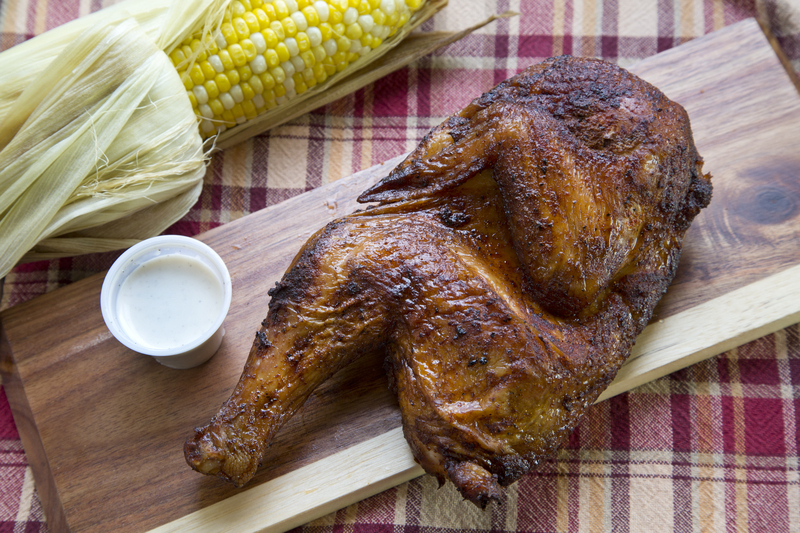 Cooking is a labor-intensive process and customers appreciate the time and effort that goes into it. The rain finally started, but thankfully we were all cozy inside the dining area. We ordered our food, many of us taking forever (myself included) because there were so many delicious-sounding options. Everyone was sharing their food, because it was all so good we needed to try everything. It was all great! After we had all eat past normal human consumption, we had (got to) pick out a dessert. 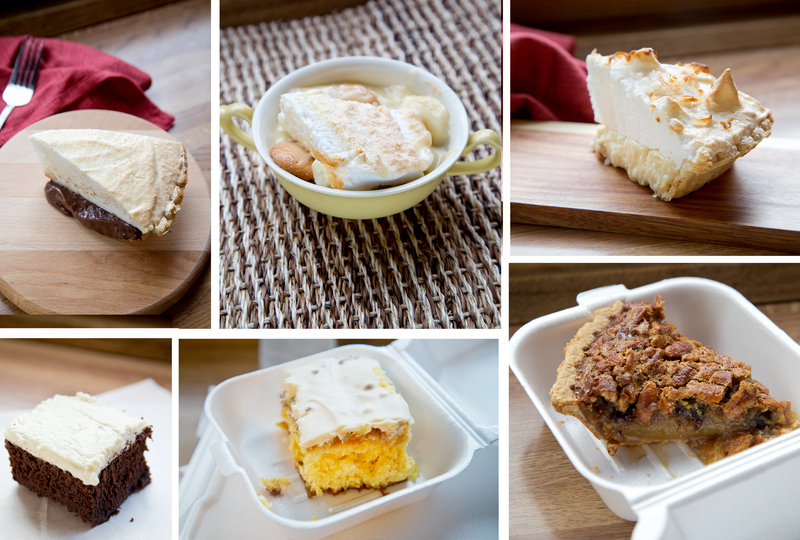 There were SO many choices, pecan pie, coconut pie, Elvis cake, banana pudding, peanut butter pie, and on and on. Definitely go visit today. You will love it!! Categories: Food Review | Tags: #dineHSV, barbecue, bbq, desserts, dinehvs, eat local, new market, New Market BBQ, restaurant week, smoke | Permalink. 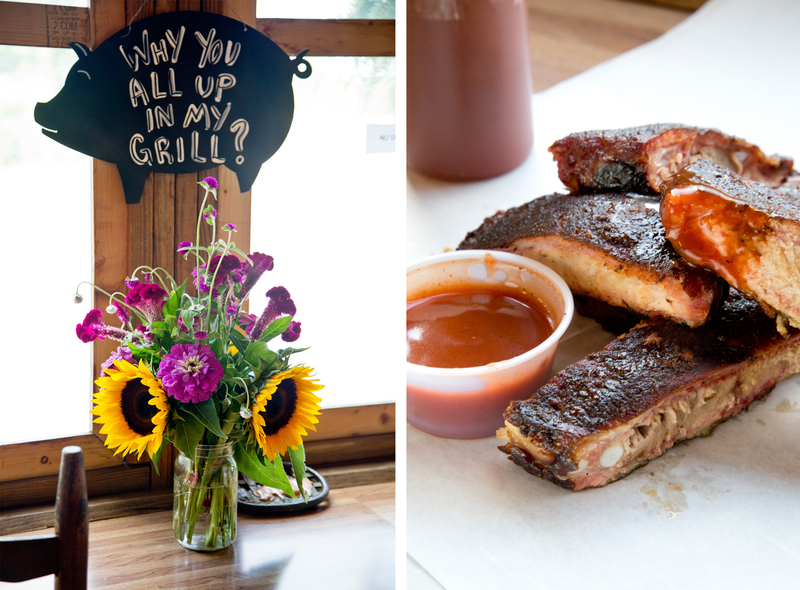 Thank you so much for the fantastic Blog Post about your experience with us at New Market BBQ! Hard to believe we just meet a couple months back when we had you come out and take those fabulous food shots for us! Seems like we’re old friends now! Can’t wait to see you and French hubby back out to eat with us again soon! So great to meet him! Glad he understands know what all BBQ fuss is about here in the south! We all take it pretty seriously. Thanks again Sarah! Great job! Absolutely!! I loved coming and I can’t wait to visit again soon. And Olivier did love it. He is ready to come back soon.